A SLO County Jail inmate found dead in his cell after reportedly committing suicide was recommended for a mental health evaluation more than a month before his death, but it remains unclear whether that evaluation was ever conducted. Documents show that SLO County Probation Department officials recommended that the court conduct a mental health and safety assessment for the inmate, Michael Wayne Nonella of Arroyo Grande, in late July. Nonella's death is currently under investigation by both the SLO County Sheriff's Office and the SLO County District Attorney. 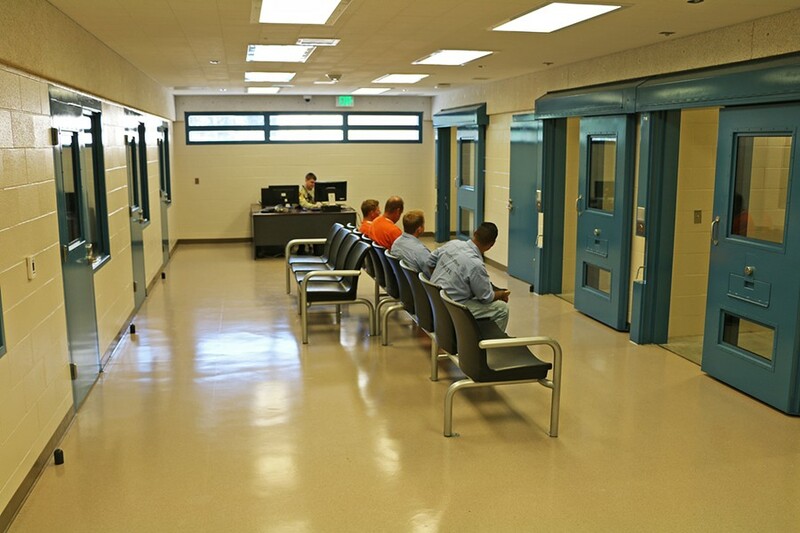 JAIL DEATH The apparent suicide of a SLO County Jail inmate comes as the SLO County Sheriff's Office attempts to expand and improve services for mentally ill jail inmates. Nonella was found unresponsive by jail deputies in his cell on Sept. 1. Sheriff's Office officials said he used his bedding to hang himself. Nonella was discovered just after 11:44 a.m. and died despite deputies' attempts to revive him. Nonella had been in the jail since July 25, serving 180 days for violating the terms of his post-release community supervision (PRCS), a type of probation where inmates are monitored by the county Probation Department after their release from a state prison. According to documents filed by his probation officers, Nonella abused drugs and alcohol, had a lengthy history of arrests, and had violated the terms of his PRCS 12 times in the last three years. "Since his release from prison, [Nonella's] overall level of compliance has been poor," an assessment by SLO County Probation Officer Corman Roullo stated. Roullo also stated that Nonella reported a history of mental health diagnoses, but the extent of his mental health needs was "unknown." In his report, Roullo recommend that the court conduct a mental health and safety assessment to determine Nonella's risk to himself and the community. However, court documents from his most recent case did not indicate that Nonella had received any such assessment. SLO County Chief Probation Officer Jim Salio also said he was not aware of the court having conducted the assessment for Nonella. A review of court documents from Nonella's previous criminal cases also did not show any indication that his mental health was assessed by the court. However, another report from the county Probation Department in 2016 stated that Nonella had been diagnosed with Post-Traumatic Stress Disorder, general anxiety, and schizoaffective disorder. "He has been prescribed a number of medications ... however, it does not appear he is taking his medications and it is difficult to decipher which medications are previous and which are current," Probation Officer Maria Johnson wrote. Nonella is the 21st inmate to die in the jail since 2000. If his death is officially ruled a suicide, Nonella would be the fifth inmate to take his own life in the same period. Currently, the jail is under investigation by the FBI for possible civil rights violations in connection with inmate deaths. Following the high-profile death of inmate Andrew Holland and a subsequent $5 million settlement with his family, the Sheriff's Office and SLO County pledged to improve mental health services inside and outside the jail.